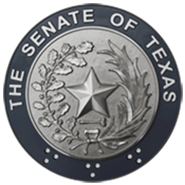 (AUSTIN) — The Chair of the Senate Finance Committee told members Tuesday that she will follow an aggressive agenda that will hear all agency testimony and begin the process of budget markup by the end of February. Though this is the first meeting of the 86th Session for the panel, Chair and Flower Mound Senator Jane Nelson said that work had taken place throughout the interim. "I have looked through every page of this budget 10 times at least," she said. Last week, Nelson filed the Senate's base budget in the form of Senate Bill 1, which she stressed will serve as only a starting point for the appropriations process in the Senate. "There are a lot of things this committee, and the full Senate, will decide to add, subtract, change, before we actually recommend out of this committee a budget," she said. Tuesday's meeting served as an opportunity for members to hear from Comptroller Glenn Hegar and inquire about the biennial revenue estimate and projections for the state economy, released by his office two weeks ago. 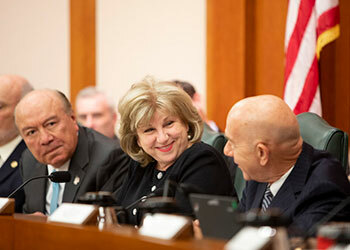 Sen. Jane Nelson of Flower Mound will chair the Senate Finance Committee for the third consecutive session. Every session the state comptroller issues a biennial revenue estimate, an amount based on a number of economic indicators and models to try and predict how much revenue the state will make over the next two fiscal years. That number also serves as a constitutional cap on spending; the legislature cannot appropriate more in spending than the comptroller forecasts in revenue. For the upcoming biennium, the Comptroller's Office predicts just over $119 billion in general non-dedicated revenue, nearly $7 billion more than the $112.2 billion in the Senate's base budget. After reiterating his "cautiously optimistic" forecast from his January 7th press conference, Hegar told members that there is more uncertainty around this year's estimate than in the past. "The current national and global economic environments, as well as the typical volatility in oil prices, have made it even more difficult than usual to forecast for a budget cycle that does not conclude until more than two and a half years from now," he said. His office projects continued, but slower, expansion in the state economy through 2021, estimating growth in gross state product at 2.5 percent each year of the upcoming biennium. As the appropriations process progresses, Finance committee members will become well acquainted with every detail of the state budget, but they got a very high level overview of the Senate budget Tuesday, courtesy of Legislative Budget Board Assistant Director John McGeady . SB 1 this session is up about $3.6 billion over last session, or 3.4 percent. The biggest driver for the increase is funding for public education, 10 percent more than last session. This includes $3.7 billion for teacher pay raises and $2.3 billion to offset whatever changes in property taxes and school finance methodology pass the Senate. State spending for health and human services is down 3.2 percent this biennium due to a projected increase in federal funds to pay for Medicaid and other eligible programs. Though it will cost the state less, total Medicaid spending would actually go up by $2 billion, enough to cover caseload growth and maintain 2019 average costs, according to LBB estimates. Total healthcare spending including federal funds would increase 1.5 percent under the Senate plan. Beginning Wednesday and continuing in the coming weeks, the Finance Committee will hear testimony from state agencies regarding their funding needs for the '20-'21 biennium. In March, members will take those requests and begin the actual process of marking up spending, and will aim to send a budget bill for consideration by the full Senate soon after that. This is Nelson's third session as Finance Chair; in 2015 the Senate passed its budget in mid-April, and in 2017 the bill passed in late March. The Senate will convene Wednesday, January 23 at 11 a.m.